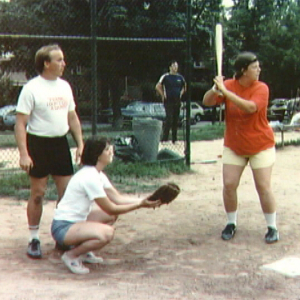 This film views the recent history of Washington, DC's Glover Park neighborhood, using it's longstanding softball league as a lens. The film tackles issues of economic class, community, and gentrification. The Humanities Council funded the project with three grants between 2003 and 2006, and holds at least one rough cut in addition to the final project. Watch Ready to Play on PBS. See more from WETA Neighborhoods. Crescenzo, Jennifer, “Ready to Play,” DC Digital Museum, accessed April 22, 2019, https://wdchumanities.org/dcdm/items/show/1228.